Dr. Martin Luther King Jr. was a great man on so many levels. But he was first a pastor/preacher, erudite and eloquent, persuasive and passionate. He could also be controversial in the pulpit. Had he lived, he would have recently celebrated his 90th birthday. I wonder what he would think about our national journey since the day his powerful voice was so violently silenced? 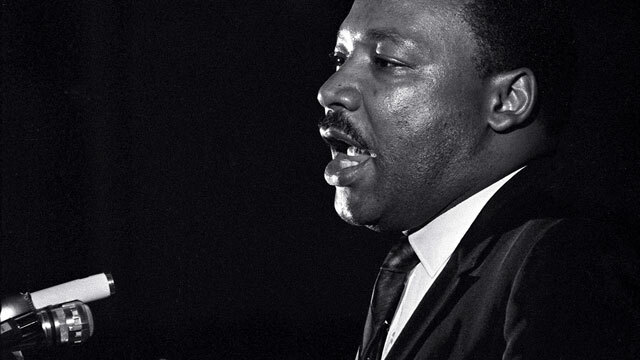 A year to the day before his death in Memphis, Dr. King preached Riverside Church in Manhattan. The church, built against the backdrop of the Fundamentalist-Modernist controversy of the 1920s, was founded by Harry Emerson Fosdick and John D. Rockefeller Jr., a liberal preacher with a generous benefactor. Mr. Rockefeller initially donated more than $10.5 million, and his contribution grew to more than $32 million by 1959. It was a case of petro-dollars funding Protestant liberalism. His subject was not Civil Rights – it was the Vietnam War. At that time, polls indicated that nearly 75% of Americans supported the war. Later that year, the annual Gallup Poll of the “Ten Most Popular Americans,” would not include the name of Dr. Martin Luther King Jr.—for the first time in more than a decade. One long and very difficult year after his Riverside remarks, Dr. King was in Memphis. The night before his death, he was scheduled to speak at Mason Temple. There were storm and tornado warnings, and he was weary from travel, so he asked Rev. Ralph Abernathy to go in his place. When Abernathy got to the church, he saw thousands who had braved violent weather to hear King, so he called back to the Lorraine Motel and encouraged his friend to come over. King did go over, and he gave what was to be his last sermon. Then he waxed personal, describing a previous assassination attempt by “a demented black woman” ten years before and how the blade came so close to his aorta that one sneeze would have ended his life. This was a familiar King story, one that he told many times with the refrain “If I had sneezed…” being repeated again and again for effect. At this point, other preachers on the platform that night became unsettled because this story was usually one placed earlier in a speech. The concern was that Dr. King might “miss his landing” and not end on a high note. He never had the chance to preach that one. A few hours later his voice was silenced in a brief and deadly explosion of violence.